The Nexus 7 2 tablet is due to release very shortly and is the successor to the popular Nexus 7 that launched last year. We’ve been reporting on the second-generation Nexus 7 for some time and yesterday showed a clear leaked image along with more details. Since then further press shots have emerged, and we have a Nexus 7 2 gallery where the tablet is showing what looks like Android 4.3 Jelly Bean. 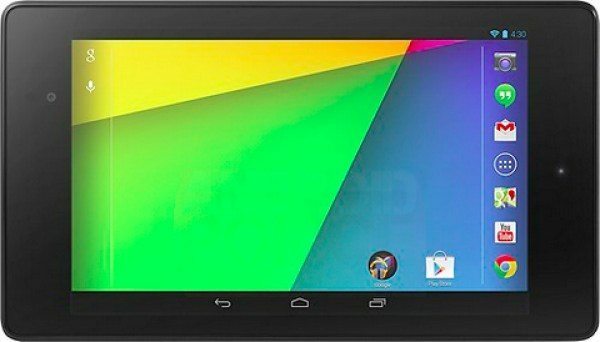 We’ve seen many leaks and rumors about the Nexus 7 2, and it seemed likely that the tablet would release this month around a year after the original Nexus 7. It seems that the Nexus 7 2 will be revealed at a Google event tomorrow with availability from July 30, and we saw a price leaked yesterday of $229 along with some specs. It’s always good to see more images of an upcoming device, and these ones we’re showing you today are particularly interesting as they show the tablet with new wallpaper that’s believed to be the default wallpaper for Android 4.3. 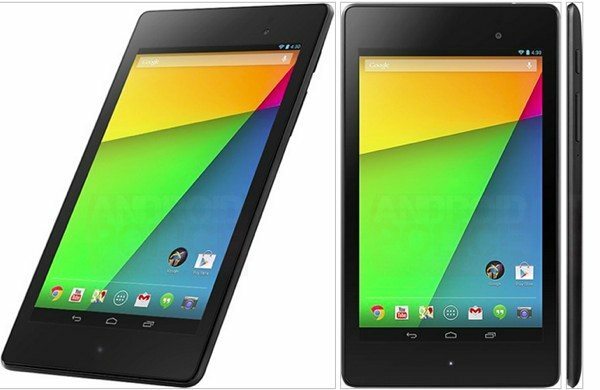 Previous leaked images of the Nexus 7 2 differed from these as they showed it with the wallpaper of Android 4.2. These images also show different angles of the device. Several things are evident in these images including the 5-megapixel camera 1.2-megapixel front-facing camera, a notification LED, stereo speakers on the back, and the Asus manufacturer name. Eagle-eyed observers may also spot the time shown of 4:30 and that could also be seen as a clue to Android 4.3. Along with the $229 starting price for the Nexus 7 2 with 16GB of internal storage, we’ve also heard of a $269 price tag for the 32GB version. An LTE version is also rumored but there’s no further news on that just yet. We should be hearing all the details of the Nexus 7 2 officially confirmed tomorrow, and of course we’ll be keeping readers informed. Let us know what you think of these new images and the teaser for Android 4.3 by sending us your comments. Have you already decided you’re going to purchase the Nexus 7 2 tablet on release?